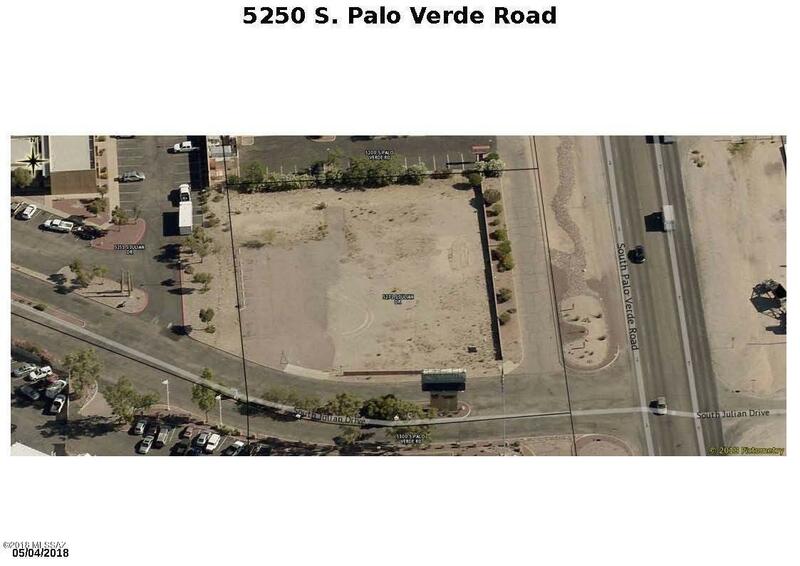 This prime 1.34 acre parcel is located near the airport & has excellent exposure on Palo Verde Rd. which is the major North/South arterial road in the area. The versatile CI-1 zoning allows for a wide variety of business uses allowed under CB-1 & CB-2 zonings as well as number of industrial uses. The property was formally a sale site for manufactured homes & has a paved parking lot along with all the utility hook-ups for a manufactured home including a sewer connection. The property is ready to receive a modular office or retail building. In addition to a sale, the owners will consider a long or short term lease at $975 a mo . they will carry financing on a sale, a possible trade, & a dong build to suite Please contact the listing agent for info regarding this property.